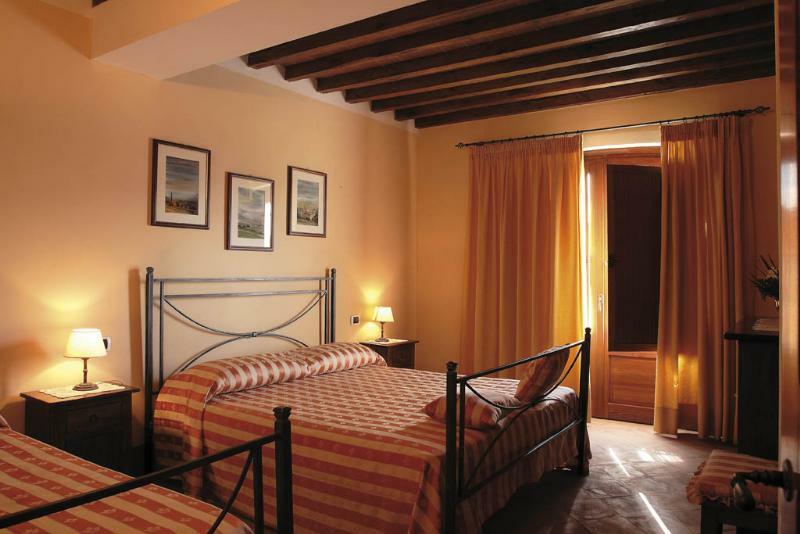 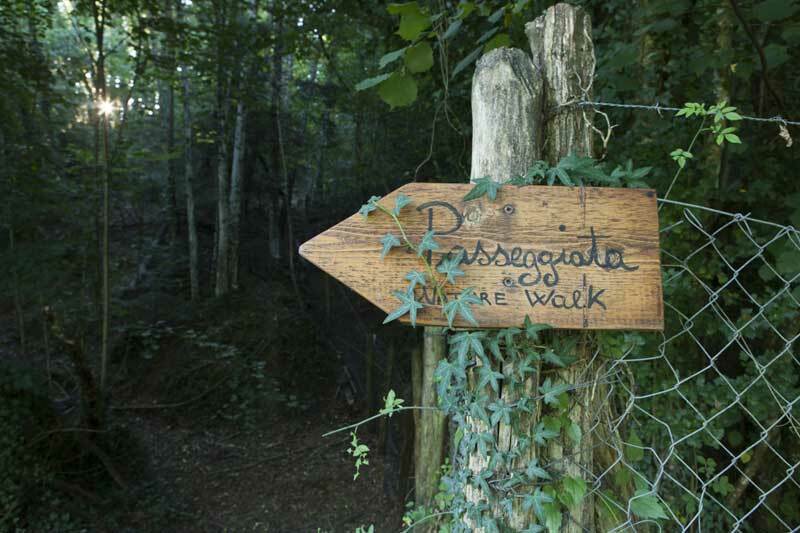 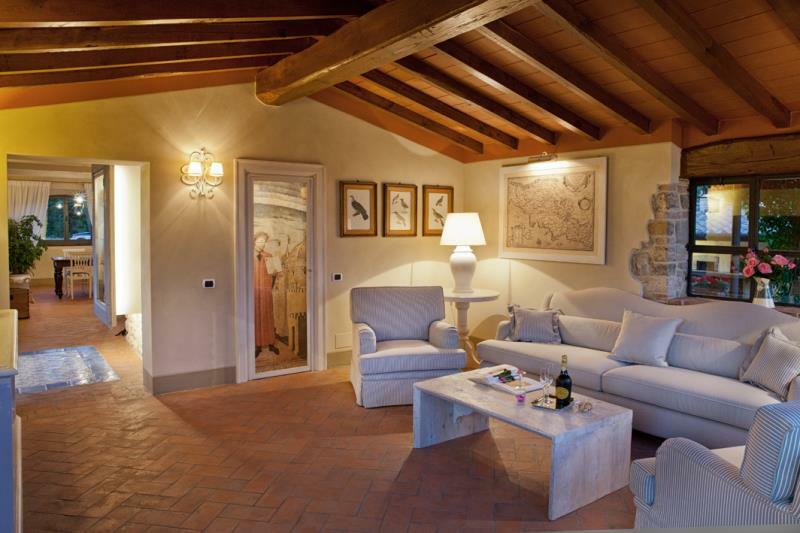 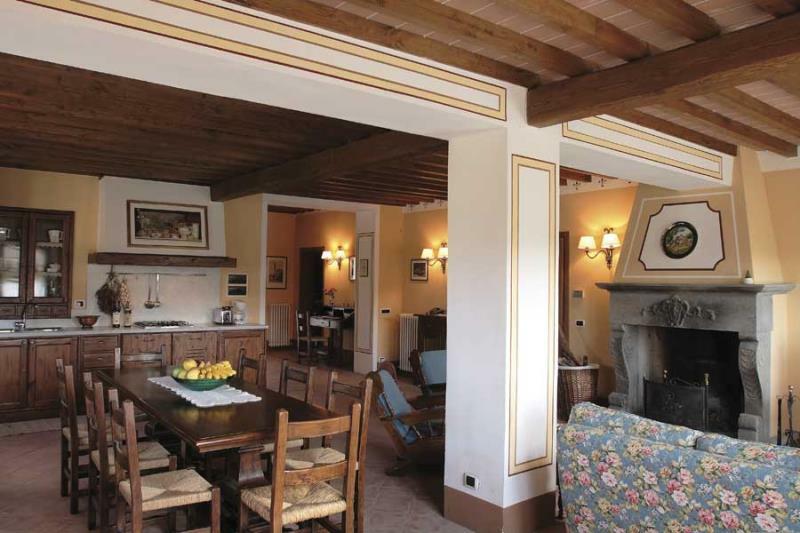 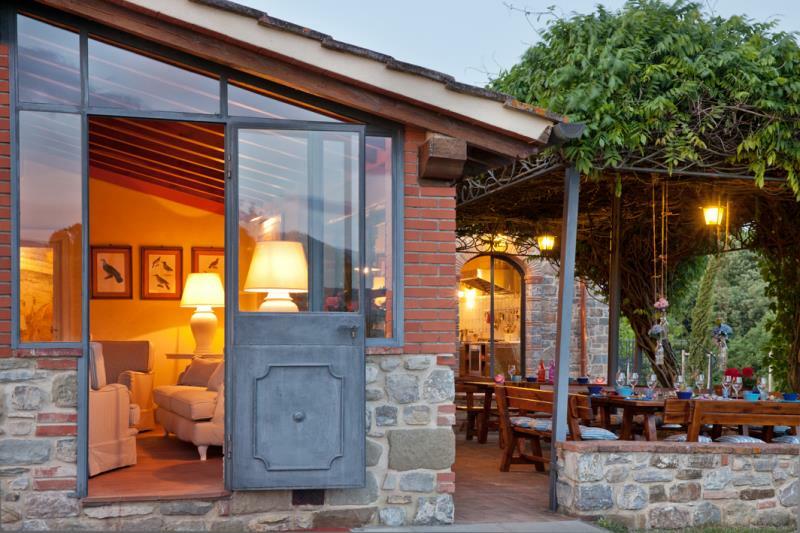 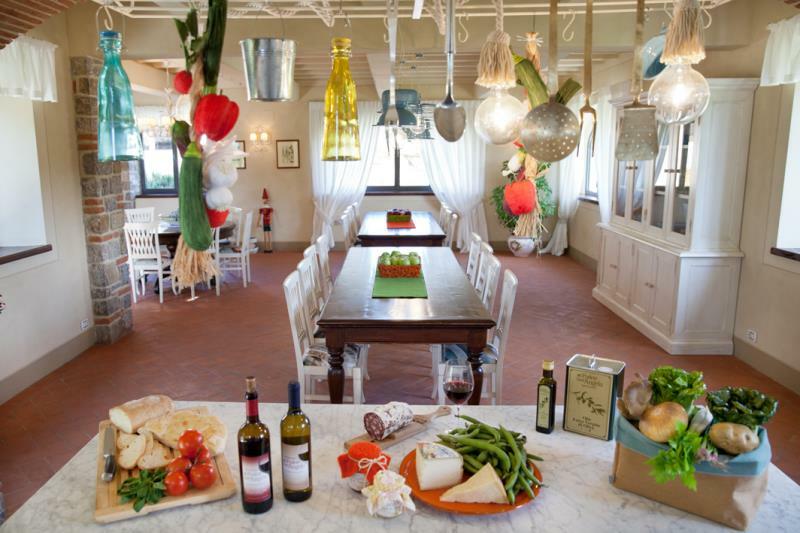 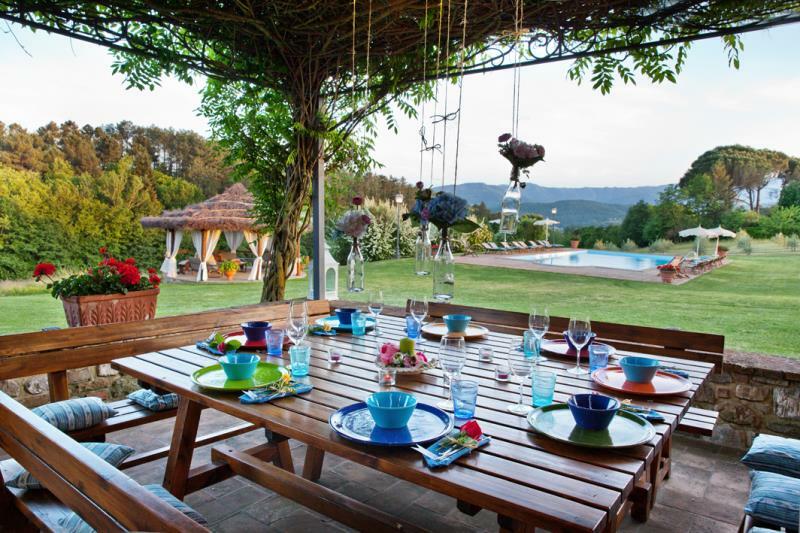 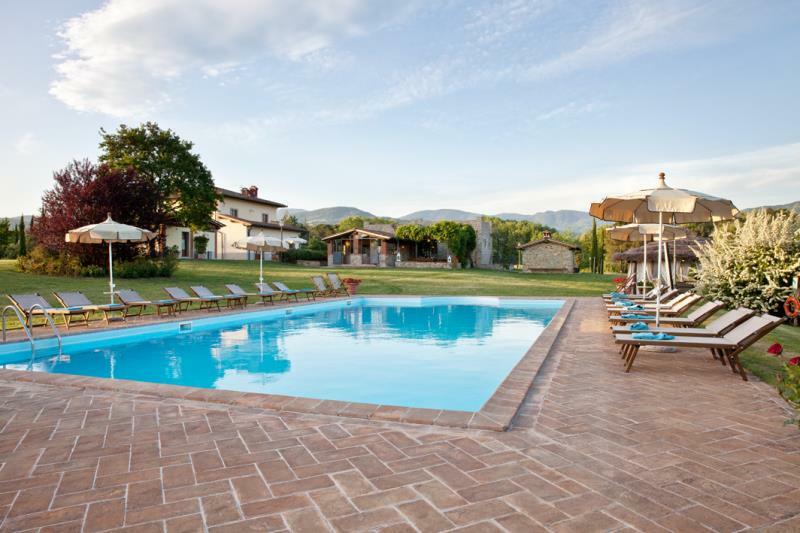 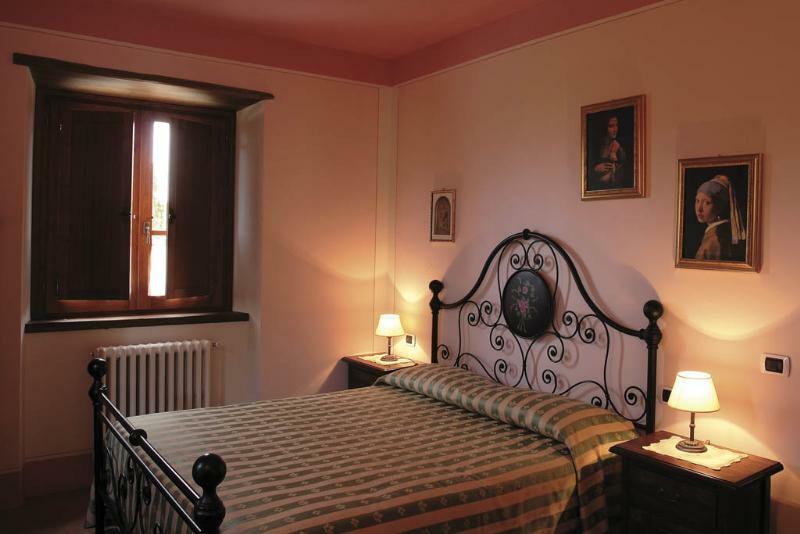 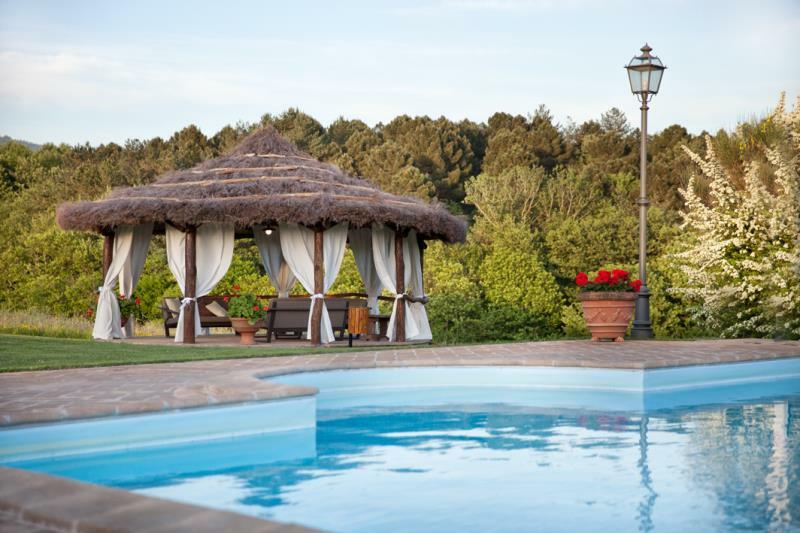 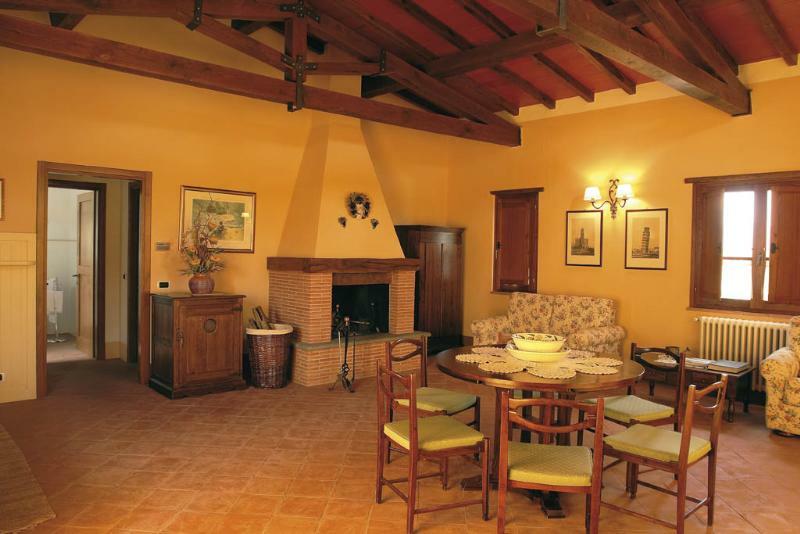 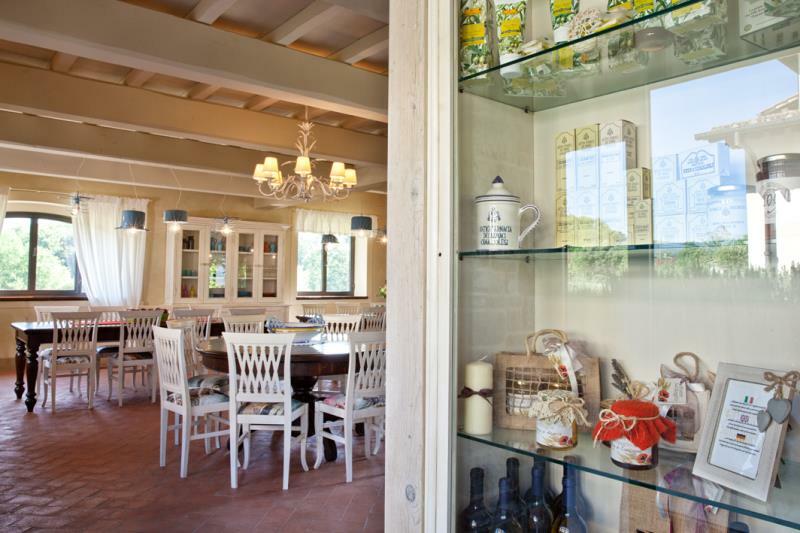 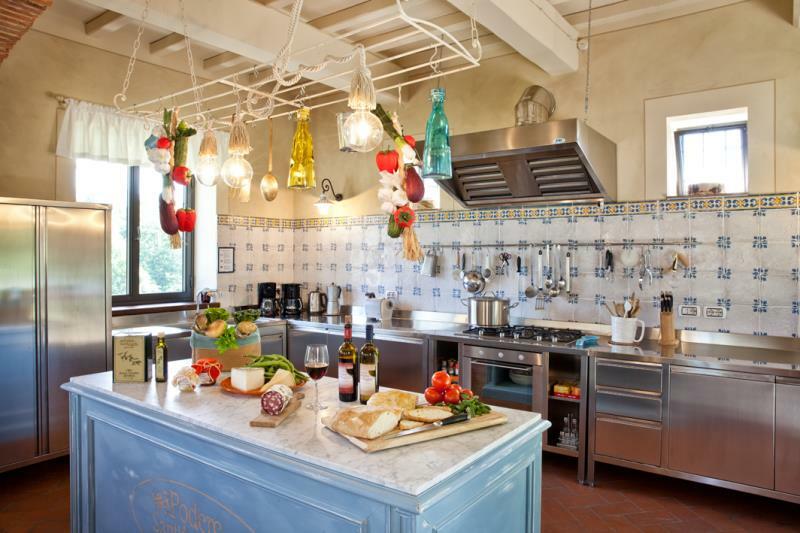 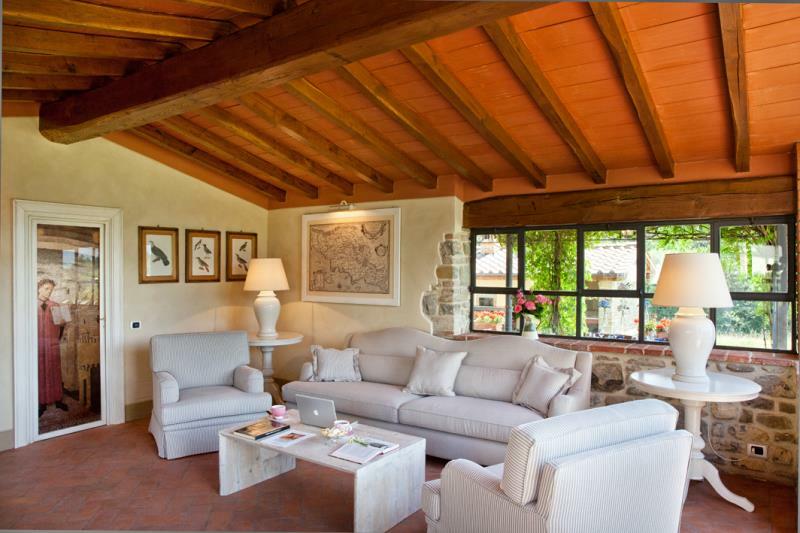 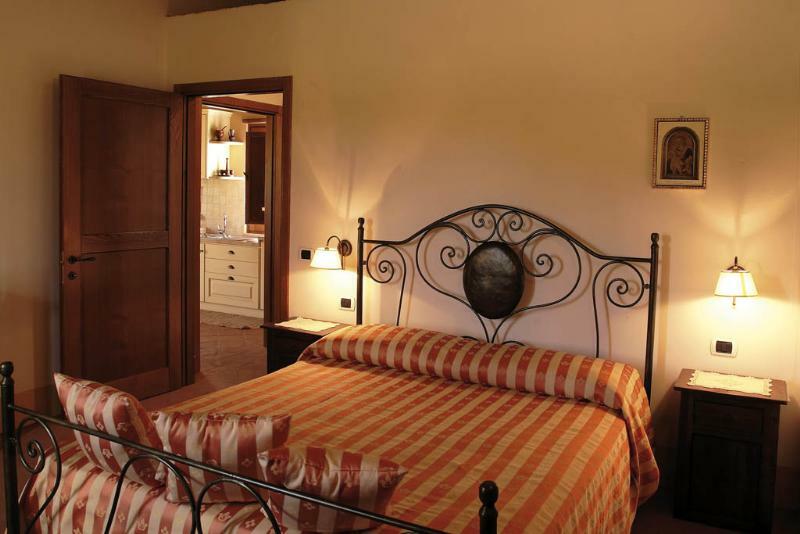 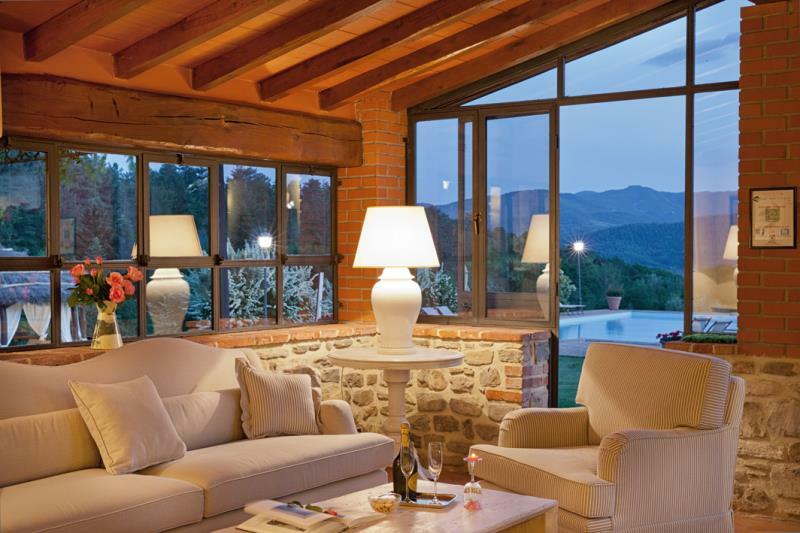 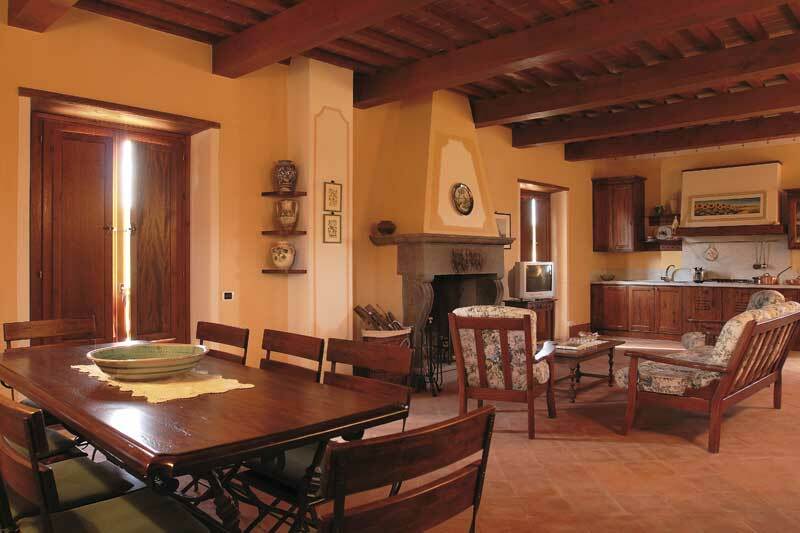 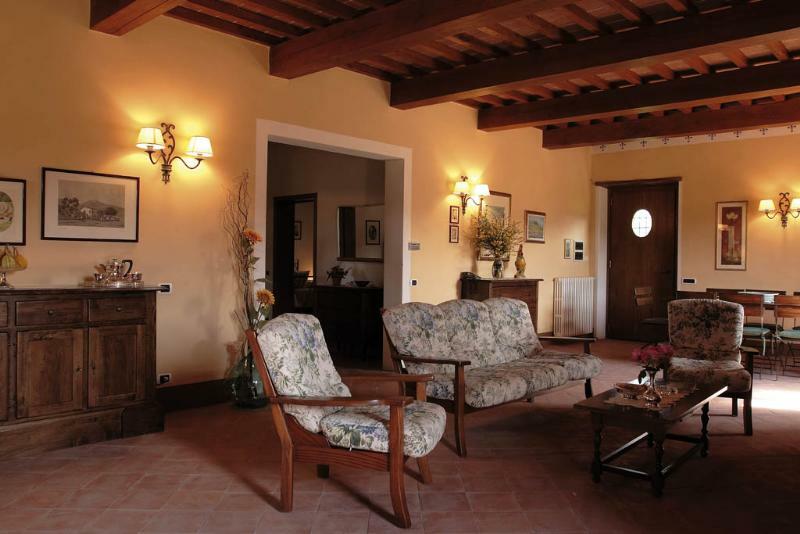 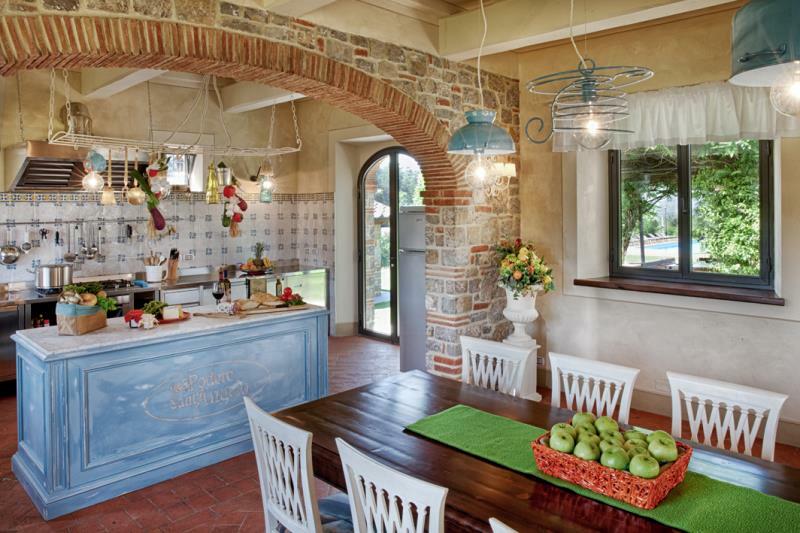 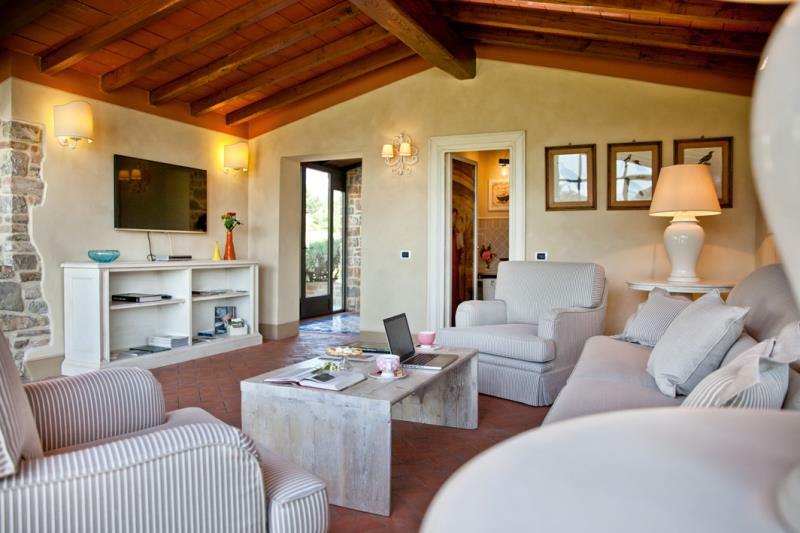 The Villa Sant’Angelo is immersed in the enchanting Tuscany hills. 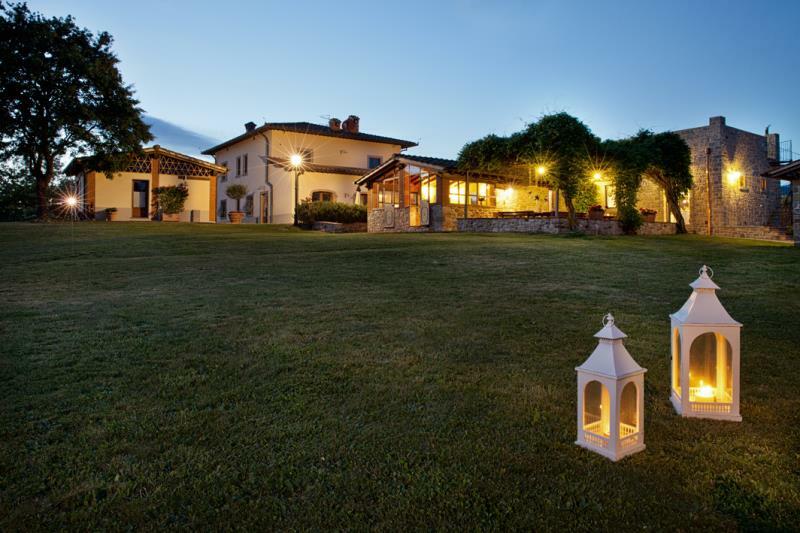 It’s an old country manor which once belonged to the noble family of Conti Ghezzi who loved to spend their holidays here. 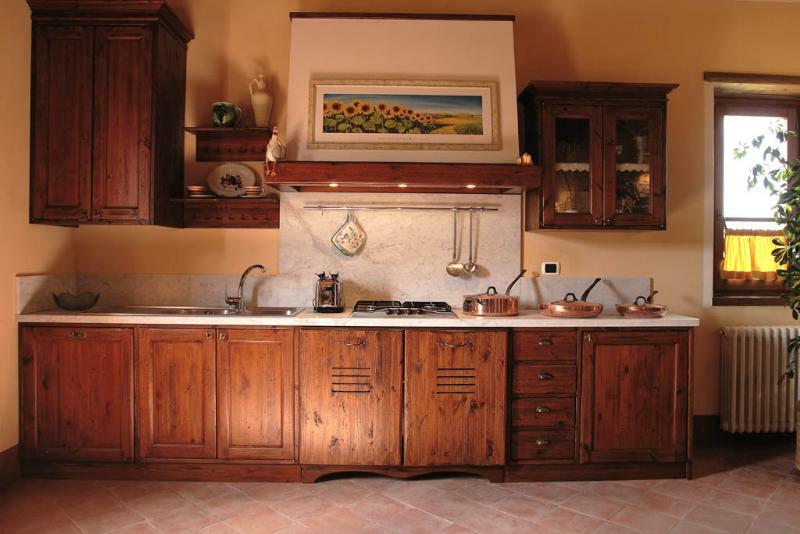 he furniture has been carefully chosen, both functional and comfortable, but distinguishable with the elegant Tuscany classical style furniture which can be found in most homes today. 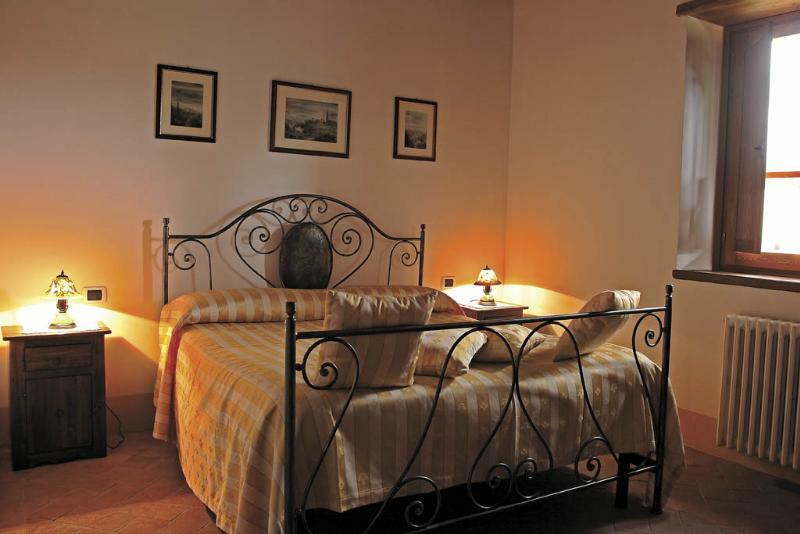 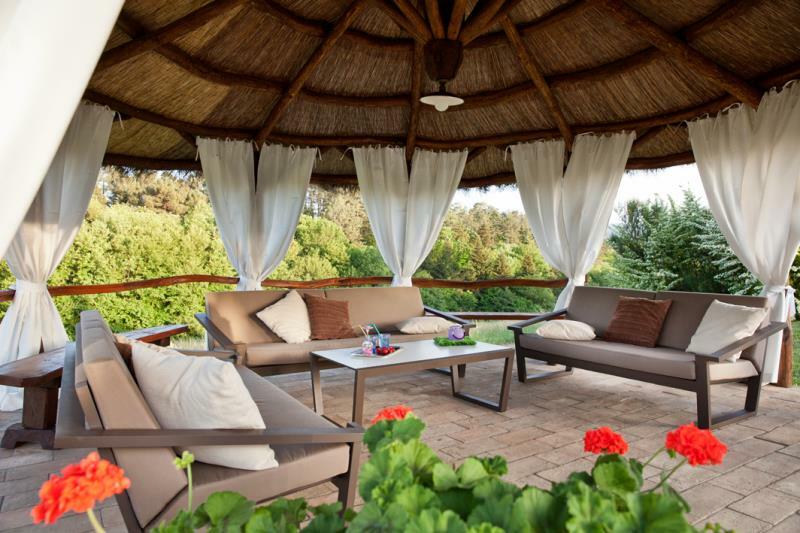 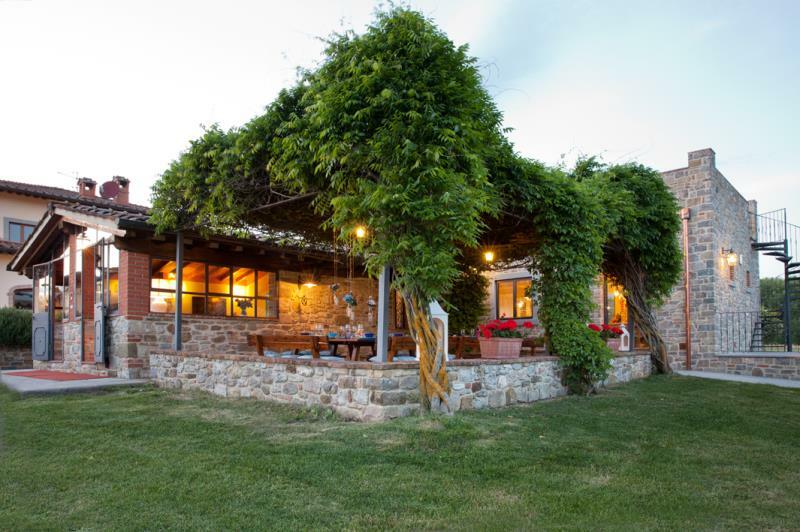 The villa is completely enclosed by a fence and has an independent entrance and enjoys complete privacy. 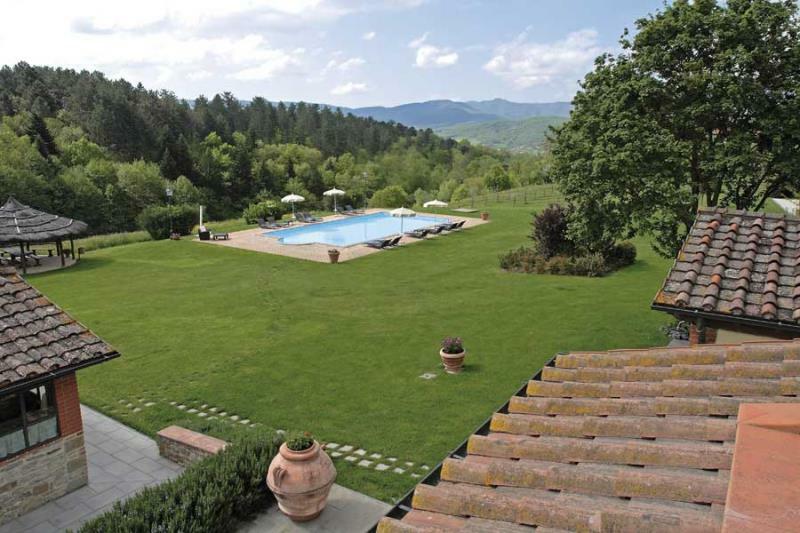 A large garden surrounds the house and here there is a swimming pool (16m x 8m). 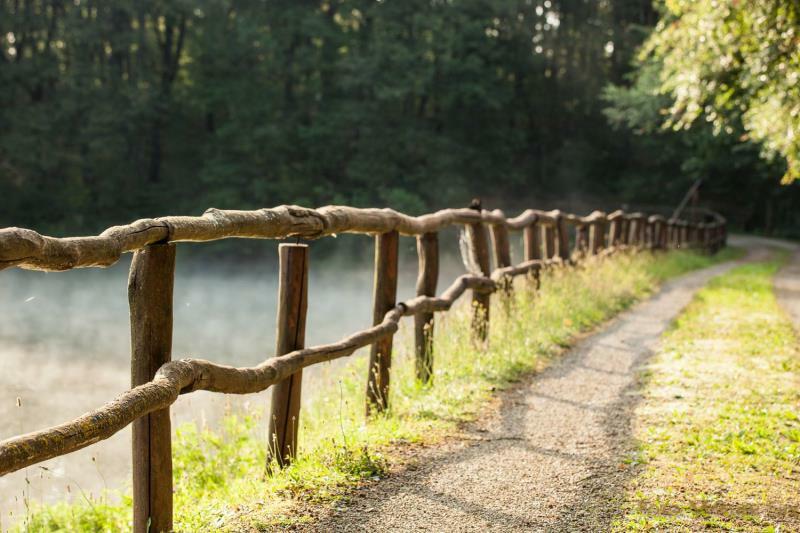 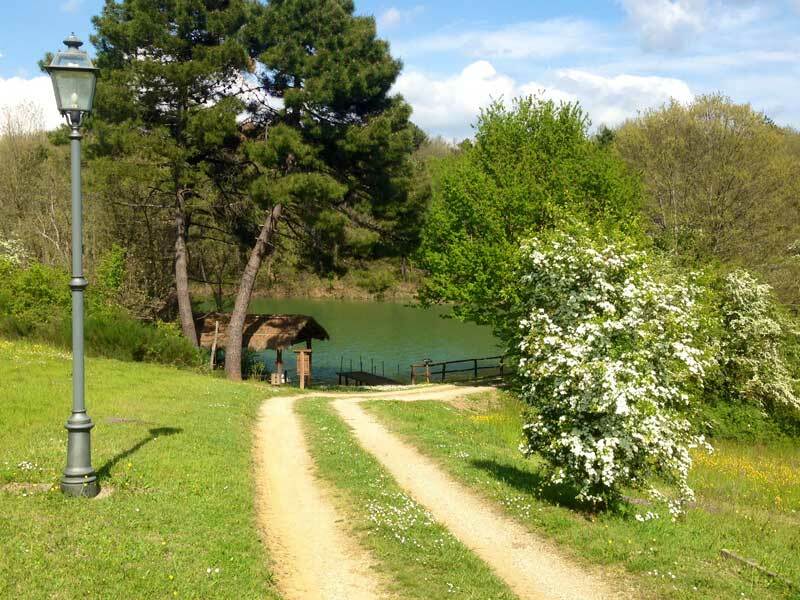 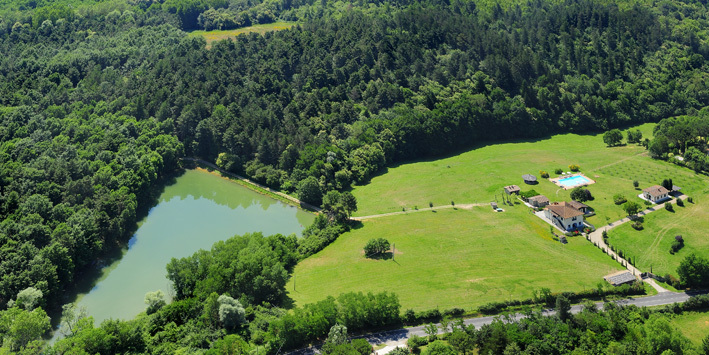 From here, following a footpath, you can reach a lake, tennis court, and also other trekking footpaths within the densely thick woods. 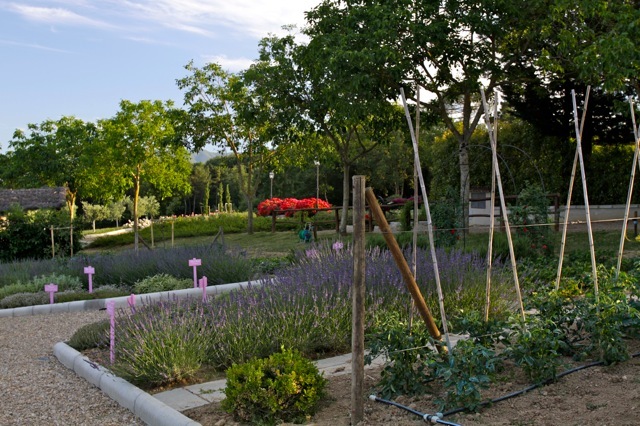 Our guests are free to explore the farm and have free access to the large biological vegetable garden which has been cultivated using old traditional methods. 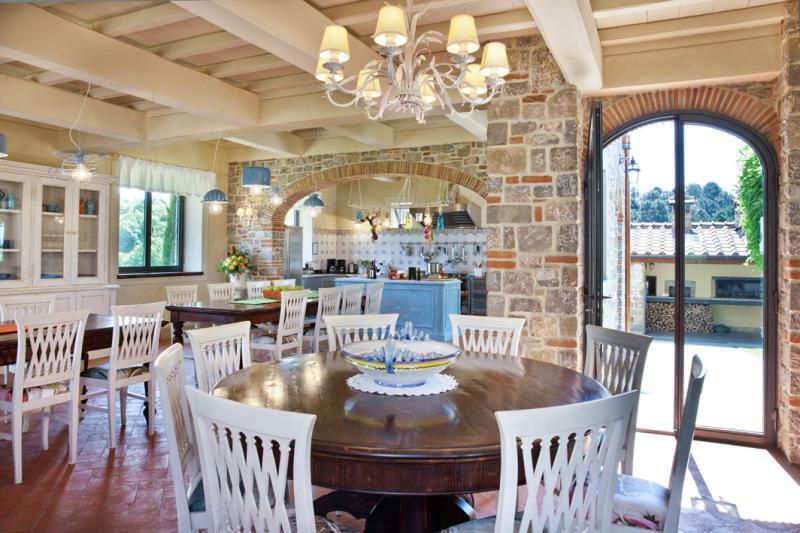 Apart from offering a very relaxing holiday, this country residence is the ideal starting point for visiting important artistic and cultural centres in the area. 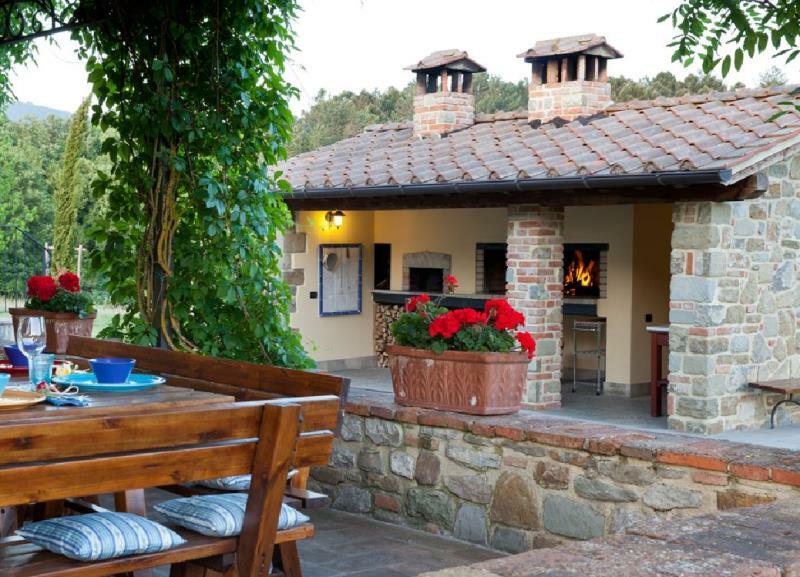 With just over an hours drive you can reach some of the most important historical cities in Italy of which Florence, Siena. 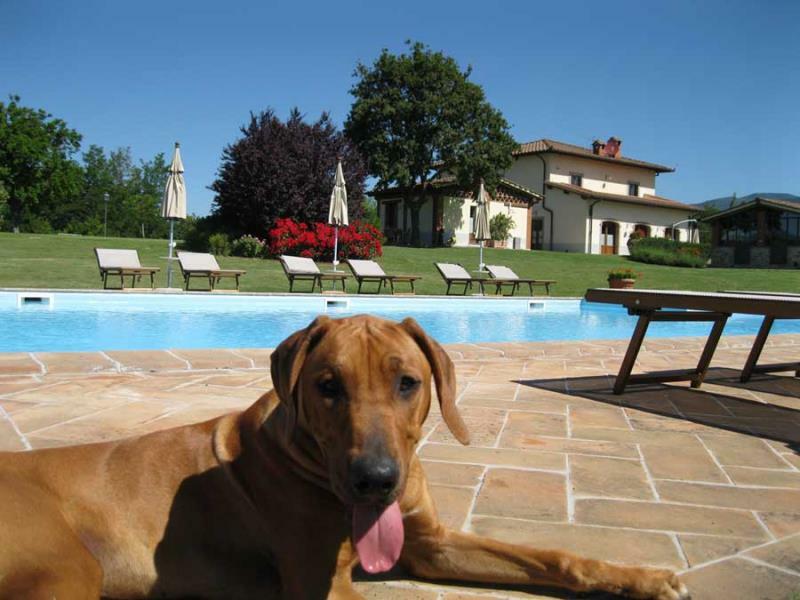 Arezzo can be reached in just half an hour. 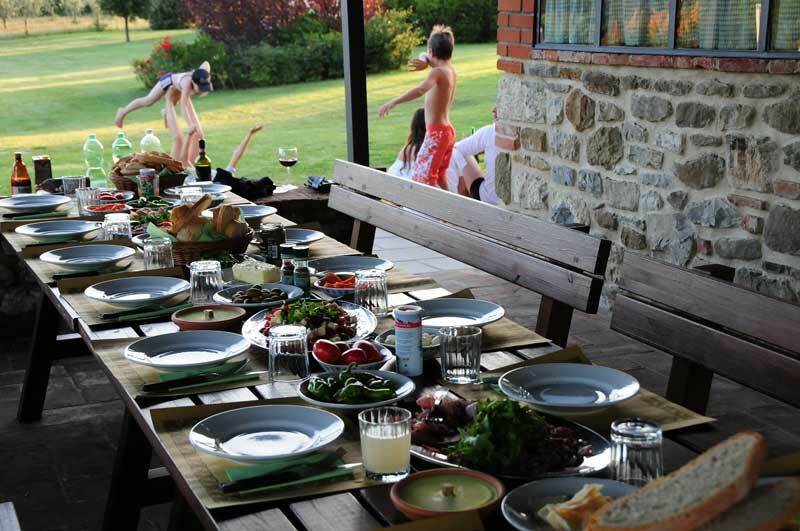 Communal annex building – ideal place to prepare meals and eat together outside. 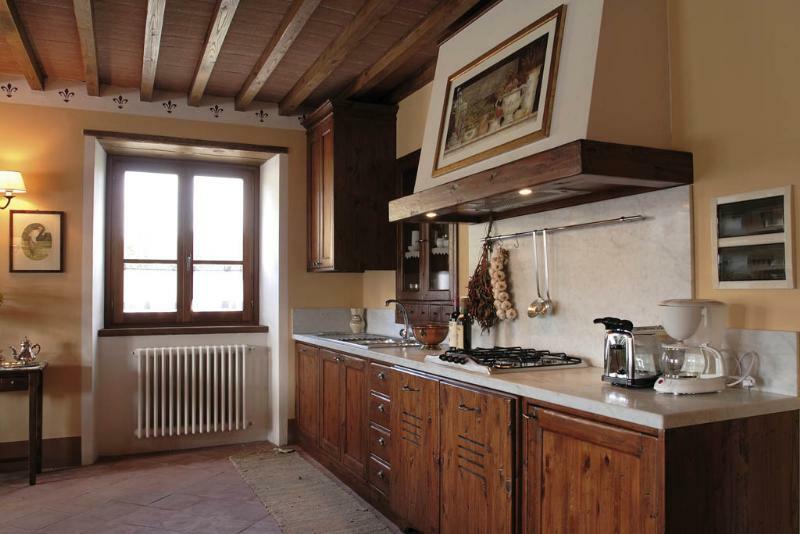 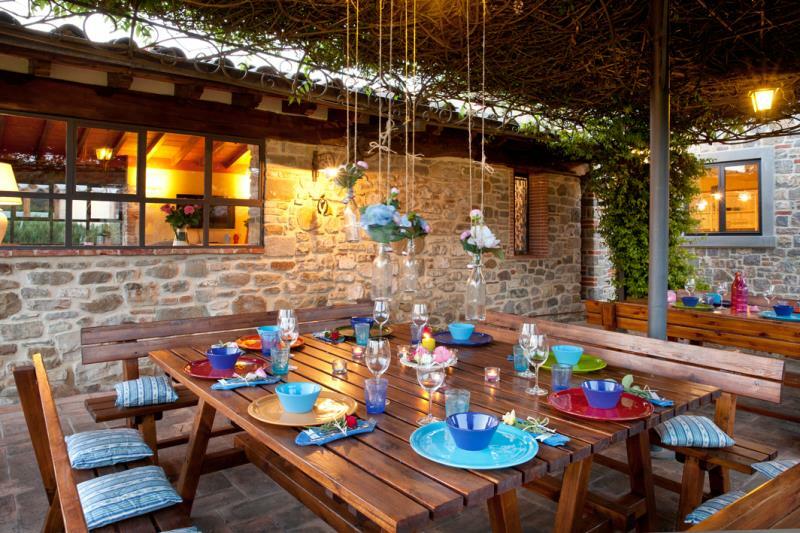 It is situated in the middle of the garden and has a large dining room with fully equipped kitchen. 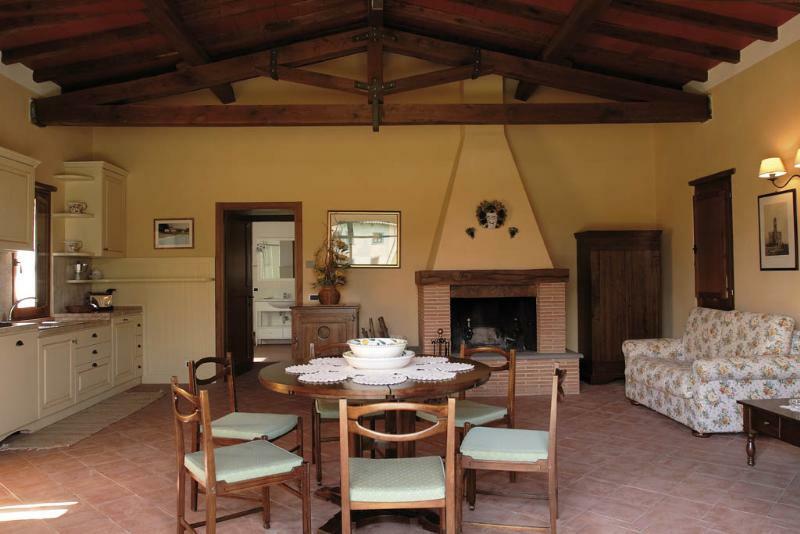 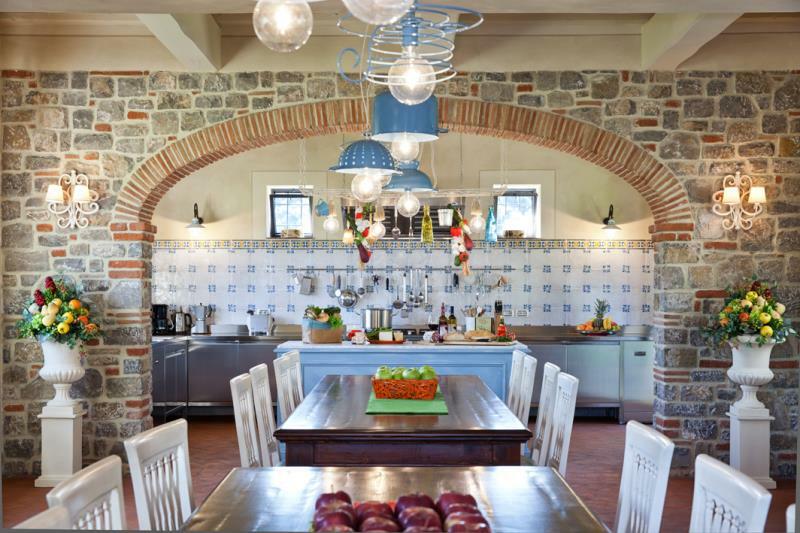 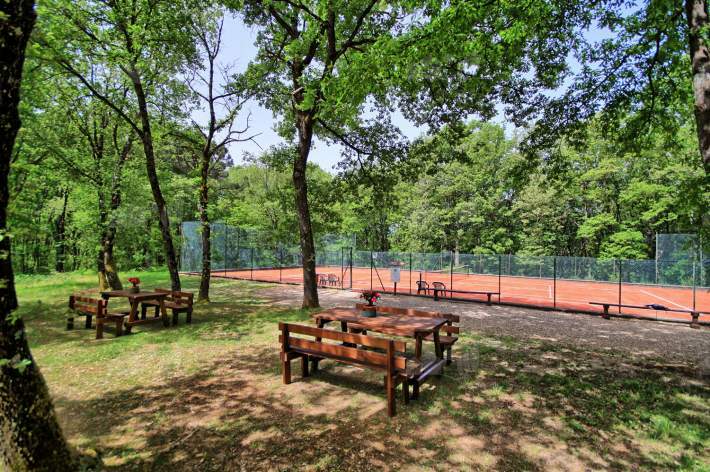 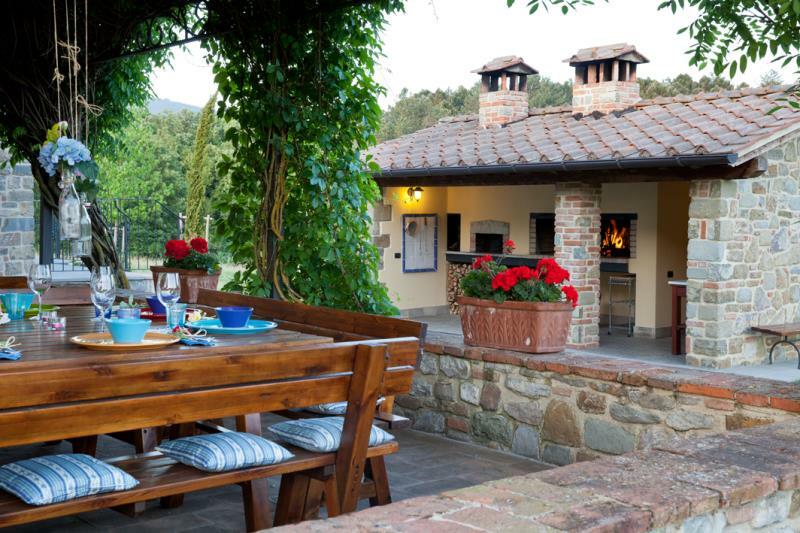 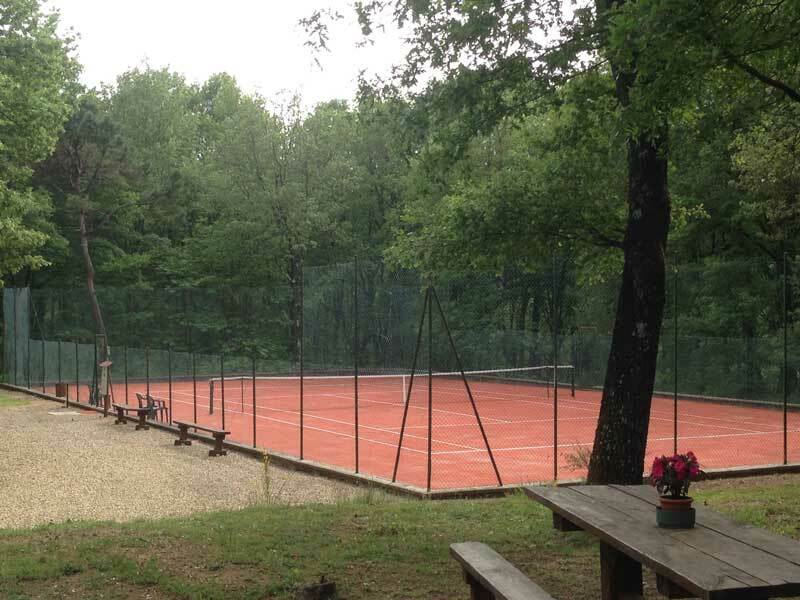 It also has a trellis-work covered terrace equipped with wooden table and chairs, and access to wooden oven and barbeque. 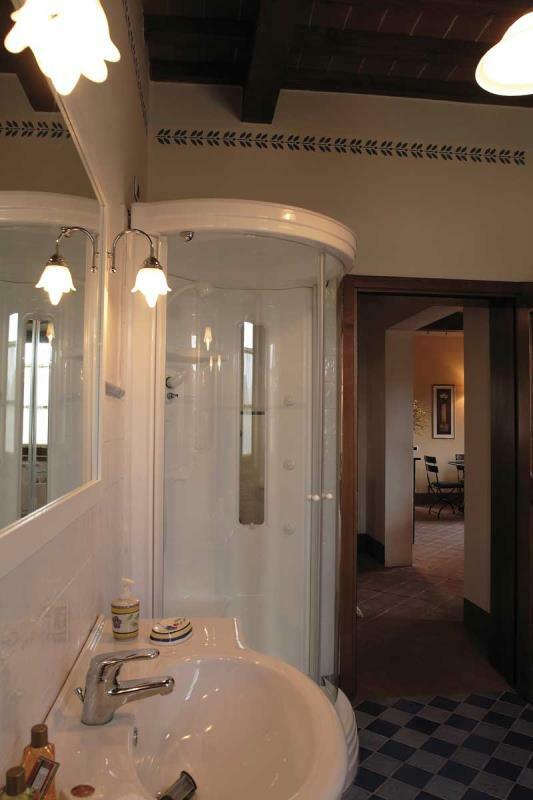 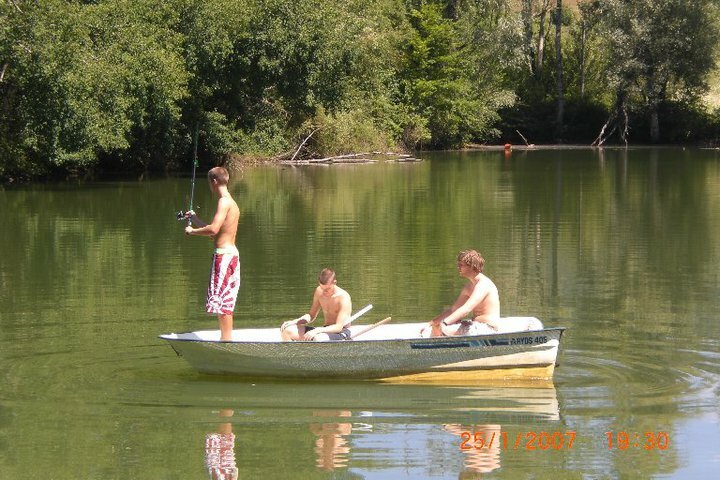 Another pleasant formula could be to rent the country residence, with its independent flats, to friends. 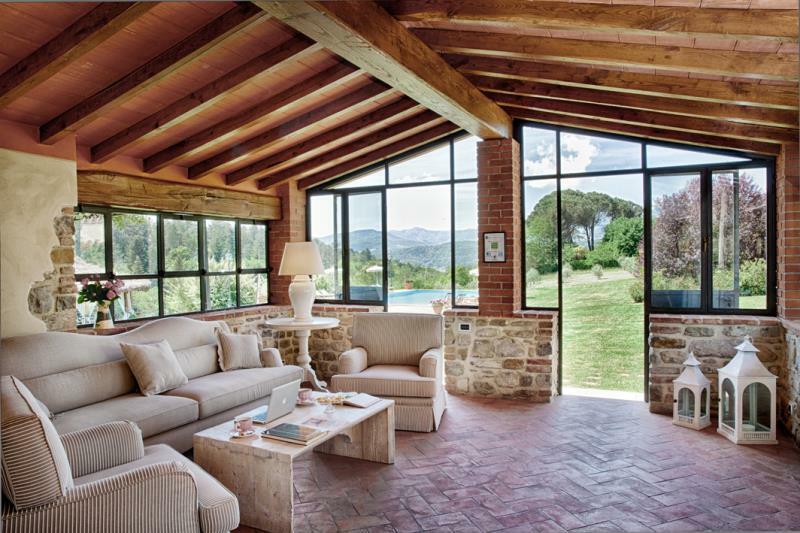 Sharing the communal spaces without giving up your privacy.